This beautifully styled sports layer is highlighted with tonal pieced jacquard dot chevrons on front and rear which will look great as you play golf. 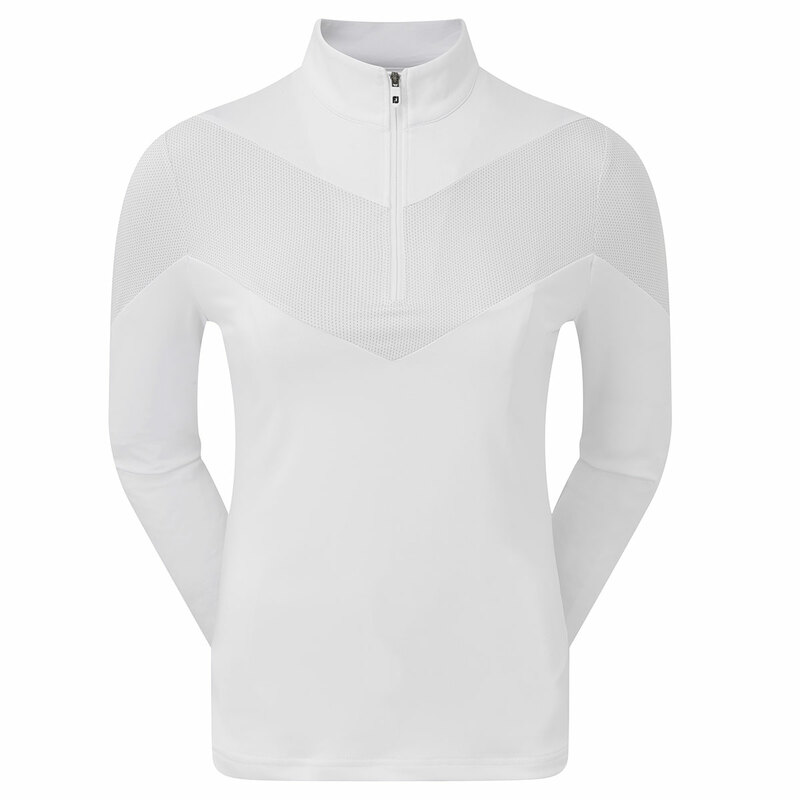 To ensure you perform this layer has been constructed with a moisture-wicking stretch fabric to give you greater mobility, with an anti-microbial finish for even fewer distractions as you play golf. The design features a half-zip opening to lock in your body warmth and is easy care for great looks with minimum effort.